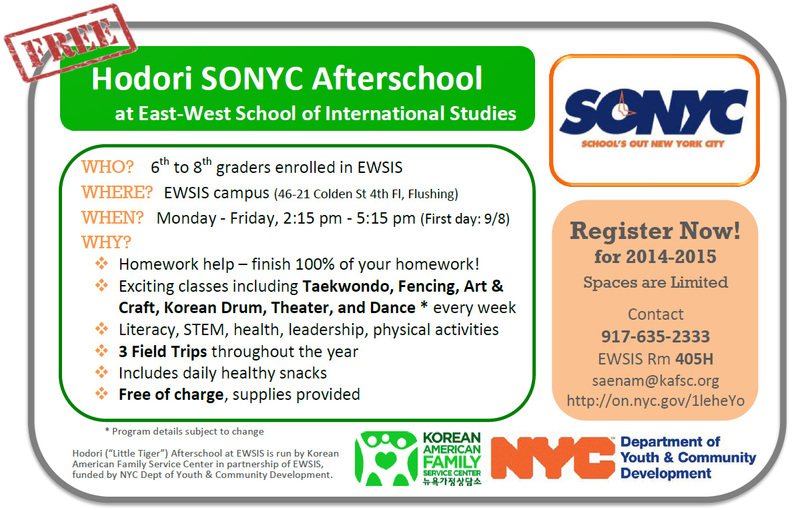 Hodori SONYC Afterschool is a free afterschool program hosted by EWSIS. The program operates for 3 hours every school day (2:15 pm – 5:15 pm) and includes homework assistance, educational activities, extracurricular lessons, and leadership development. Enrolled participants will have a weekly extracurricular activity of choice, with options being Taekwondo, Fencing, Drama, Art & Craft, Dance, and Korean Drumming (subject to change). Also included is three free all-day field trips through the year. 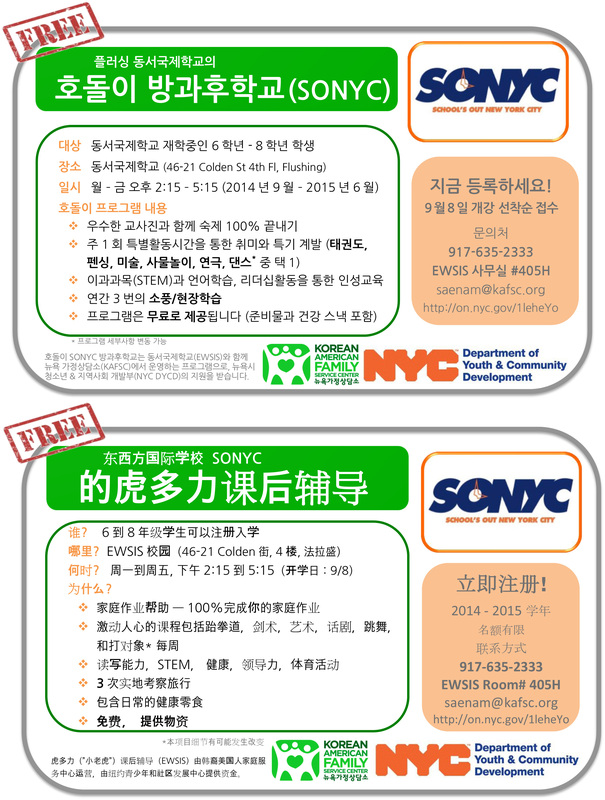 If interested, please call (917-635-2333), e-mail (saenam@kafsc.org) or pick up an application packet at EWSIS Room 405H.